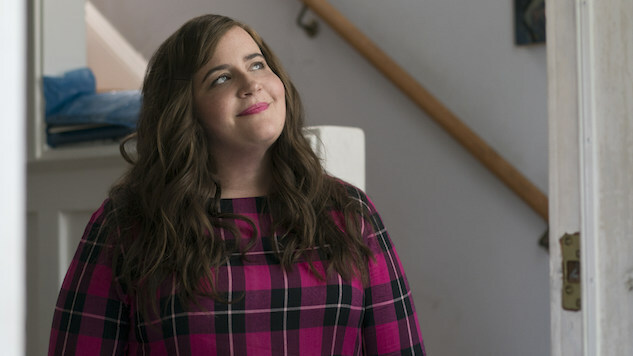 It’s a (nearly) all-new list this week, as the Paste Power Rankings weigh the debut of Shrill against the conclusion of Catastrophe, welcome back The Good Fight for its third season, and break the rules for a certain streaming sitcom whose cancellation made waves on Thursday. There is one telling omission, however: Arrested Development, which released the back half of its fifth season to nary a peep. Please, Netflix, put this show out of its misery! I have a confession to make. As a child of the 1990s who grew up in Arkansas, I’ve made my share of Monica Lewinsky comments. I went as her for Halloween in 1998, and I may even have read Joe Eszterhas’ book about the scandal (and her), American Rhapsody. (It could have just been a bookstore browsing, to be honest.) In hindsight, I’m not proud of these choices. Why? Because, as Sunday’s Last Week Tonight pointed out before host John Oliver sat down with Lewinsky—and as she has so eloquently spoken and written about—I participated in our country’s (world’s?) favorite pastime of mocking the woman, and the least powerful participant, in an infamous tryst. This is especially problematic because the affair only came to national attention because those who found out about it were so eager to discredit and publicly shame her paramour, then-president Bill Clinton. Like so many other successful men, he survived the scandal, and still seems more or less unflappable. (Last year, amid the flood of #MeToo stories, he was asked if he owed her an apology. He said, “no, I do not”). Whereas Lewinsky—and any family member with her name—cannot escape the repercussions even two decades later.